In Musmos na Sumibol sa Gubat ng Digma, Iar Lionel Arondaing attempts to tell a Mindanawon story in a Palawan setting. The lofty goal is for this to help in peace building for our Moro brothers/sisters; though – as a Mindanawon myself – I’m still seeing some dissonance. This is part of FRINGE MAGAZINE’s coverage of Cinemalaya 2018. 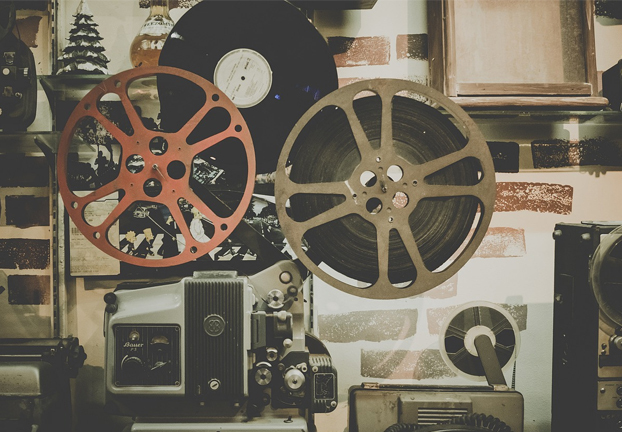 Themed “Wings of Vision”, the 14th iteration of the annual indie film fest is said to continue to “discover, encourage and support the cinematic works of upcoming and veteran Filipino filmmakers who boldly articulate and freely interpret the Philippine experience with fresh insight and artistic integrity.” So here’s a closer look at whether the films do exactly that. 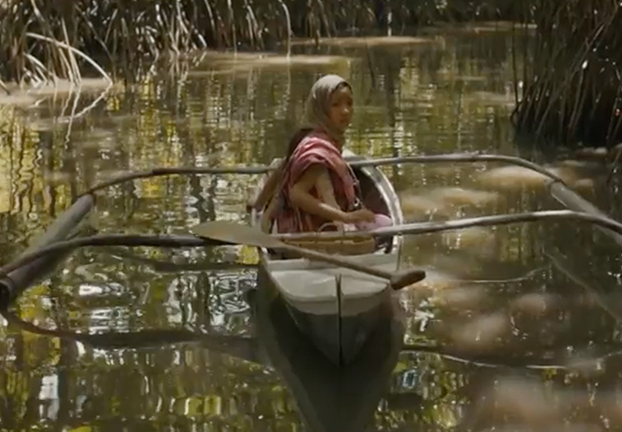 When he introduced Musmos na Sumibol sa Gubat ng Digma (Unless the Water is Safer than the Land) at Cinemalaya 2018, director Iar Lionel Arondaing said that – via this flick – he hopes and prays for peace for our Moro brothers/sisters. While admirable, this messaging reminded me of why we belittle beauty queens who work for “world peace”. The idea is good; but if you want to carry the weight of the world on your shoulders, then – no doubt – no amount of your effort will ever suffice. 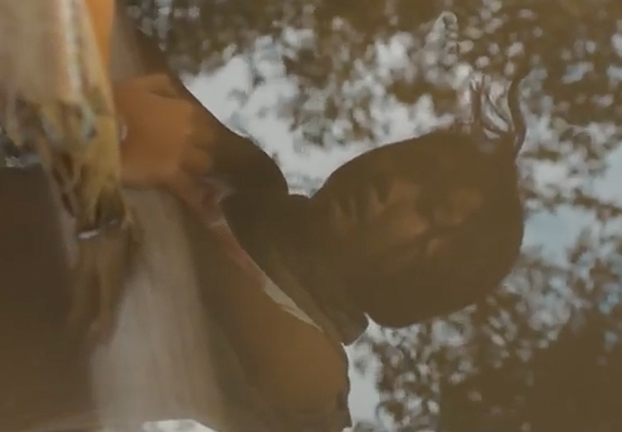 “Musmos” is – in a gist, and in the words of the producers – a coming-of-age tale about a 12-year-old Muslim girl named Eshal from Marawi City. Her story is encapsulated by rido – that culturally observed inter-familial dispute. To start, that more Moro voices are getting amplified in the film industry (outside of the stereotypical depictions) is commendable. I, myself, was born in Cotabato City, grew in Kidapawan City, and then went to study in Cotabato City again; and as a Mindanawon, I am very familiar with invisibility in mainstream discourses. That this one attempts to at least get some space under the spotlight is a good move. Sound editing’s good. When properly used, chants/prayers/et cetera can – truly – make films work; generally speaking, they do here. Cultural respect is apparent (i.e. related to #1 above). Let’s start with the cinematography, since this was already mentioned above. This may need to be scrutinized. 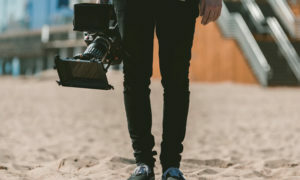 The director has a penchant for long/wide shots – i.e. position-wise, he likes his shots wide; and length/duration-wise, he stays “there” for a long time. At many times, they work – such as that intro – since they allow you to get a sense of the context (and in this case, the beauty of Palawan, the chosen location). The longer the scenes are “held” also give us glimpses of “miscalculations” in the filmmaking – e.g. those people really didn’t know how to burn that nipa hut, right? I’m still trying to figure out where – in Mindanao – we can see as many bakawan (mangroves). Palawan is beautiful; this flick even made it look dream-like. 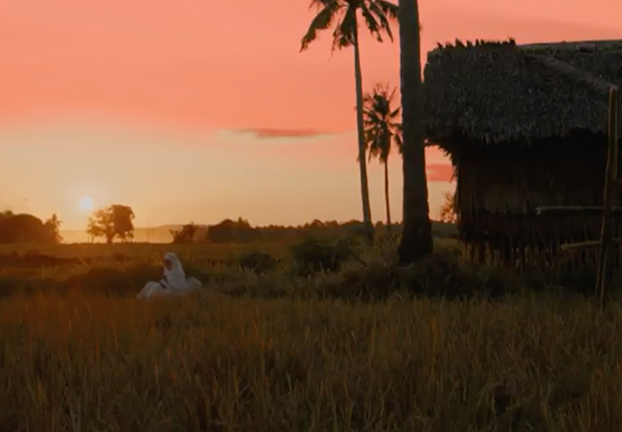 But with the film “sold” as “a Marawi story”, I had to look for “excuses” for the film being set in Palawan (e.g. “it’s just a dream, it’s just a dream…”). Then there are the dialogues – i.e. you know how Filipino films are criticized because the characters tend to speak like “not real people”? Like, instead of saying, “Name mo?” they say “Ano ang iyong pangalan?”. This flick has that, so that the lines delivered tend to be stilted/fake/unreal. There are also “sermons” – e.g. why rido has to stop (thus the “world peace” analogy). Bugs in the storytelling – e.g. the umbilical cord just disappeared after birth, the bosom of the dead is heaving, the tan line of that lady in the water, and direct glimpse/s into the cam. Pacing is slow. Too slow for some, I’d say. Seated right in front of me were the director’s friends (he waved at them while he was onstage to introduce his flick, and they kept shouting his name). But midway through the film, many of them were already either just texting or even snoozing. Coming of age films aren’t rare – e.g. 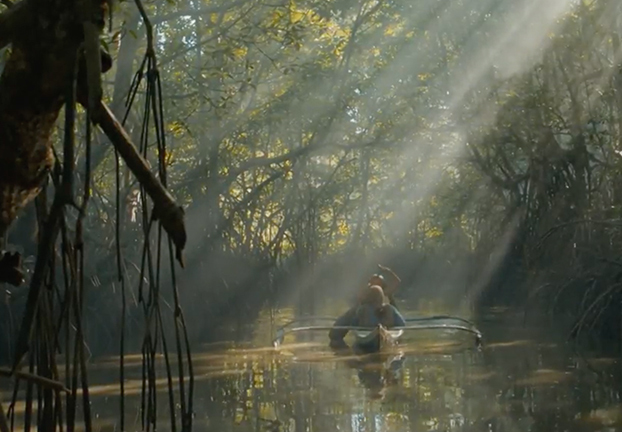 the fantastical Ang Lee’s Life of Pi (2012) and J.A. Bayona’s A Monster Calls (2016), and the reality-grounded Auraeus Solito’s Ang Pagdadalaga ni Maximo Oliveros (2005). This attempts to be that (particularly the former two, in much, much, much smaller scale, therefore sans the grand effects). A character in the movie asked another how the story being told really went. The other one said that he has to learn “patience”. One’s patience is supposed to be “rewarded”. Now if you think you have that patience to be lulled while watching picturesque views, I say go for it. We believe that just because one is popular, doesn\'t mean it merits that popularity. There are many at the fringes also meriting attention, though do not have the means to means/know-how to be so. And so here we are, celebrating everything... artistic life from the fringes.